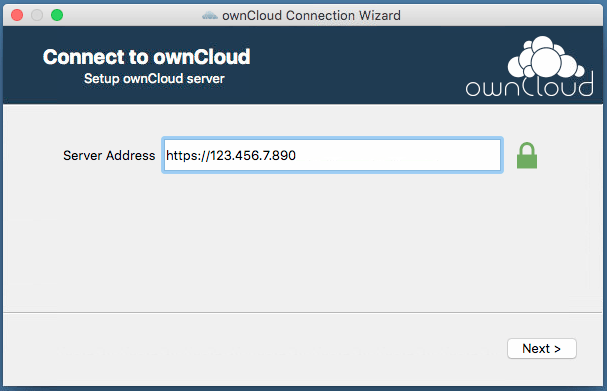 ownCloud makes client apps available for Windows, OS X, and Linux desktops, and for Android and iOS devices. 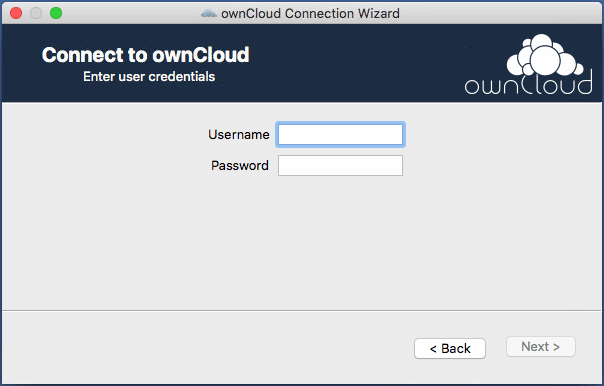 Desktop clients are available from the ownCloud Web site. The apps for mobile devices are available on Google Play and the Apple App Store. 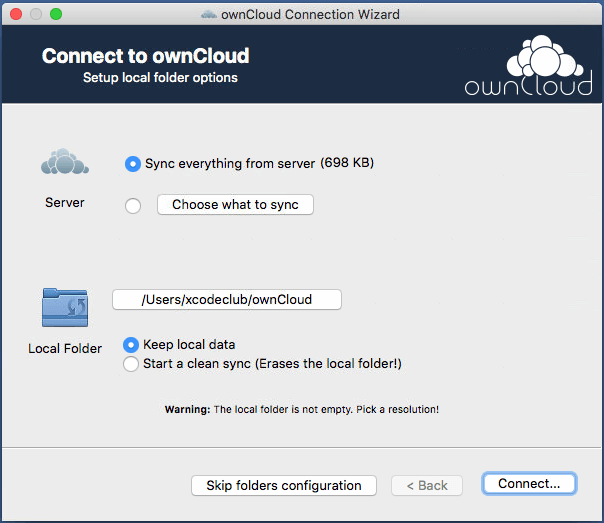 Launch the ownCloud desktop client. In the connection wizard, enter the IP address for your server. If you did not set up HTTPS support on your server, ensure you are using http:// and not https://. Click “Next” to proceed. Enter your username and password and click “Next”. Specify whether to sync everything or only selected files. Also, specify a location for the local files to reside.